Spotify is arguably Apple Music's (or anyone's, for that matter) largest competitor with its 40+ million of paying subscribers, cross-platform compatibility, and years of honing in the mastery of interface interaction and music taste guesstimates. It's not leaving its lead position to chance, either, and introduced its newest feature the other day, called "Daily Mix," as a direct reply to Apple Music's "For You" mixtapes. Apple offers these non-random mixes in a section which provides a personalized choice of tunes based on your listening habits. It takes into account your library, the songs you play, the songs you heart, as well as fishes around the genres and artists you seem to appreciate. It's a hit or miss system, as with any automatic personalization engine, but for the most part it works. That is exactly what Spotify is going after with its newly-minted Daily Mix creation. It is meant to datamine your own preferences, and offer a playlist you'd enjoy the most, rather than constantly line up new stuff for you to discover, which can get pretty annoying. The list will be updated each day with new stuff to listen to, rather than be completely replaced every 24 hours, which is a good thing. The interface seems pretty svelte, too, with tiled album art and song listings in an easily discernible format, so that it's as aesthetically pleasing as it's meant to be an auditory delight. 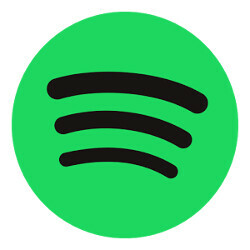 If you don't like what Spotify chose for some reason, you can ban it from appearing in future playlist updates, simple as that. If you can't beat em. Join em. A welcomed feature, competition is good! PS: My browser lags when I pause adblock on P.A. !! !